When my first precious bundle entered my world I couldn’t take my eyes off him and leaving him alone just for a moment seemed impossible at first. 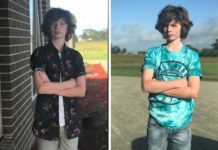 In the early days, I remember checking on him, what seemed like every few minutes, to make sure that he was ok; despite him being sound asleep…I am sure that you can relate. Now here I am 4 little darlings later and while I am a little more relaxed, I still worry about them. I worry that if I prepare some meals while they are asleep I may not hear them cry, or if I am in the laundry room tending to that huge mount Everest of a washing pile I may not heat them call for me and I worry that if, once they are all in bed, I spend some time on the balcony enjoying the warm summer evenings I may not realize that they are getting too hot or becoming upset and it’s my job right – to always be there, to always know when they need me, to never miss a thing! However, those chores won’t do themselves, so outside to the laundry room I must go, and my Husband needs my company too and I need his, so we should make the most of those warm summer evenings outside together…although I can’t help still worrying. I used to have a sound monitor, which while only being first purchased just a few years ago, was a long way behind the modern technology in but seeing is believing and so the new Orica Secure 870 Baby Monitor has opened a whole new world for me. I am seriously impressed with this little device and had so much to say about it that I wasn’t sure where to start, so I had to break it down into bite size chunks so ensure that I don’t ramble and cover all the key features. The Oricom Secure 870 Baby Monitor is a fantastic piece of technology that offers me the opportunity to get on with life, while my little ones are asleep and still keep a close eye on them. The Oricom Secure 870 Baby Monitor is a very modern looking camera that can pan-tilt using the parent control, so that you can look around the room and zoom in for a closer spy. I found this an extremely useful feature for both taking a better look at my sleeping little one and also for scanning over to my other little one sleeping in the same room. Being able to pan the camera around also meant that I was able to place the camera pretty much anywhere in the room and still be able to see my little ones. The Oricom Secure 870 Baby Monitor has some lovely features that help create a soothing and relaxing environment in the room. The combination of the starry night light show which can be projected onto the ceiling, the gentle warm glow of the night light, which can be dimmed and the soothing selection of music and sounds all create such a sleepy environment that I felt that I could have easily joined my little ones for a sneaky nap. 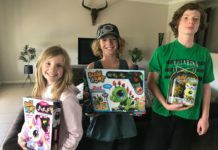 I love being able to operate all of these features from wherever I am in the house via the 3.5″ touch screen parent control, which means that I can add a few minutes on the timer without disturbing my little ones by entering the room. 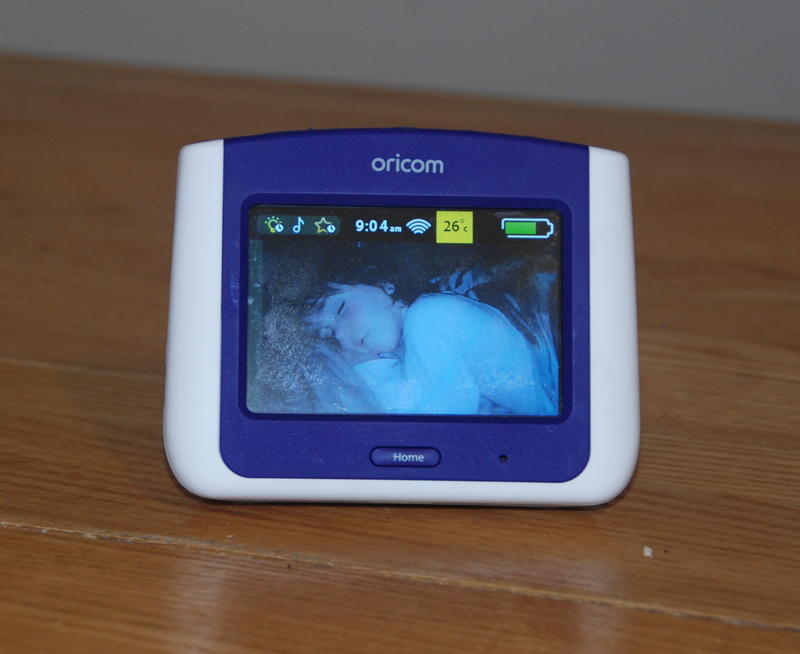 To help parents further the Oricom Secure 870 Baby Monitor has vibration alerts and monitors the room temperature, which was a huge help during the recent hot nights that we have had, allowing me to keep a close monitor on my precious little ones. The Oricom Secure 870 Baby Monitor also has a parent talk-back function, allowing me to communicate with my little ones wherever I am in or around the house and offering the re-assuring sound of my voice when my youngest seemed a little unsettled or instructing my slightly older ones to put their toys away and go back to bed left me feeling like I have those extra set of eyes I have always wanted. I was also pleasantly surprised at how clear the night vision on the monitor is, which adds to the user friendliness of it. 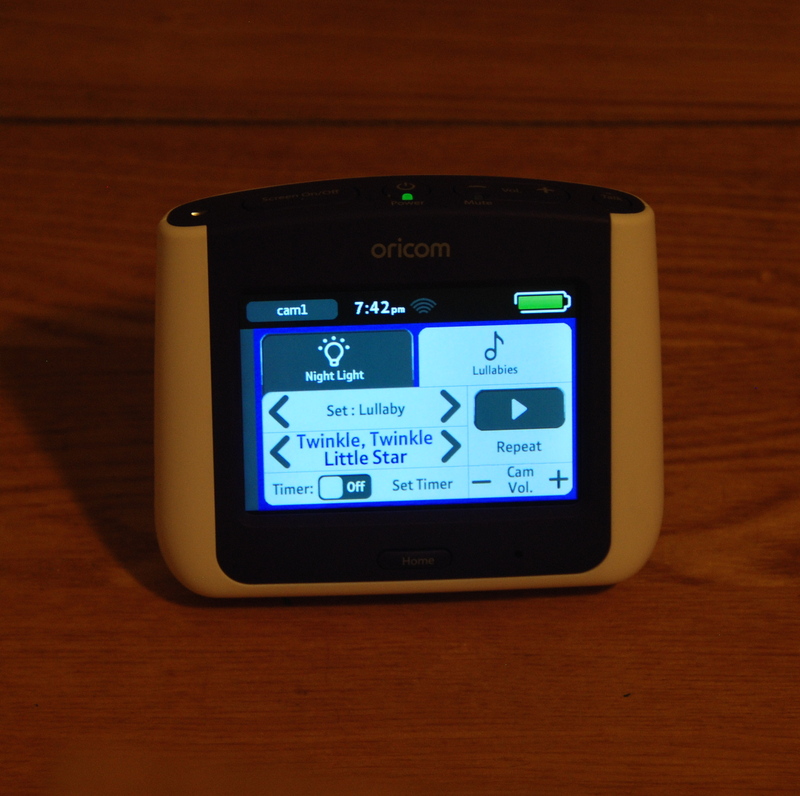 Best of all, for me as a Mum of 4, The Oricom Secure 870 Baby Monitor can be connected to up to 4 monitors and controlled all from just one handset. This was fantastic for me as I could head out to the garden during the warm summer evenings with my husband and relax, while being able to keep an eye on ALL of my precious little ones at the same time. The Oricom Secure 870 Baby Monitor really has thought of everything, it’s a modern sleek design, provides a soothing and relaxing atmosphere for a baby to sleep in, allows parents to monitor their little ones closely and provides such flexibility in terms of how it can be used that it is a perfect choice for a new baby or growing family. I absolutely love the new Oricom Secure 870 Baby Monitor and personally consider it the ‘Roles Royce’ of Baby Monitors. The only downside is that I didn’t get one sooner!! 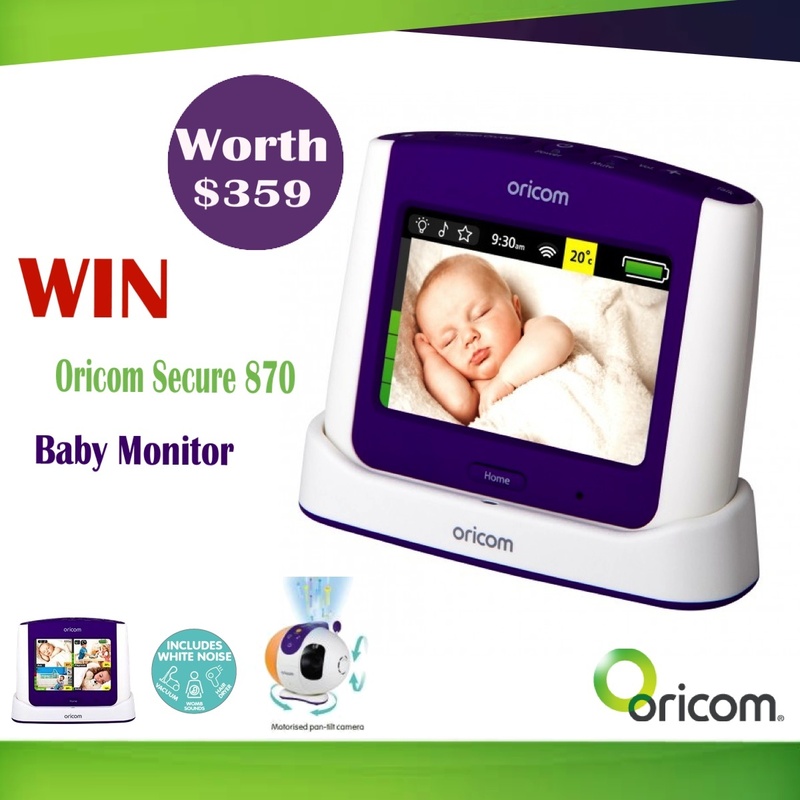 Thanks to Oricom, we are giving away one ‘Oricom Secure 870 Baby Monitor’ worth $359 to one of our lucky readers. Simply enter below and good luck.